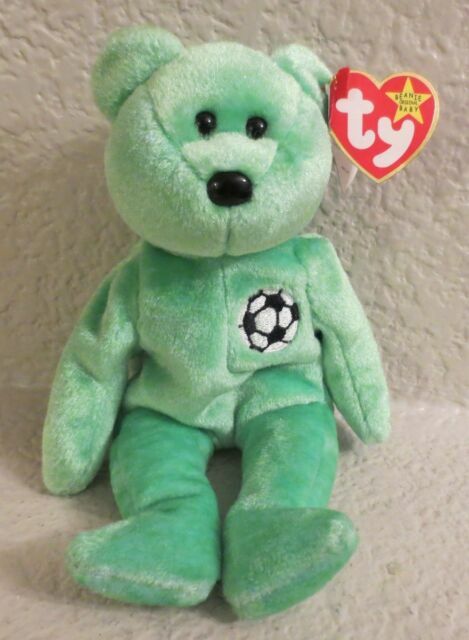 TY Beanie Babies &#034;KICKS&#034; the SOCCER Ball Teddy Bear MWMTs! RETIRED! GREAT GIFT! 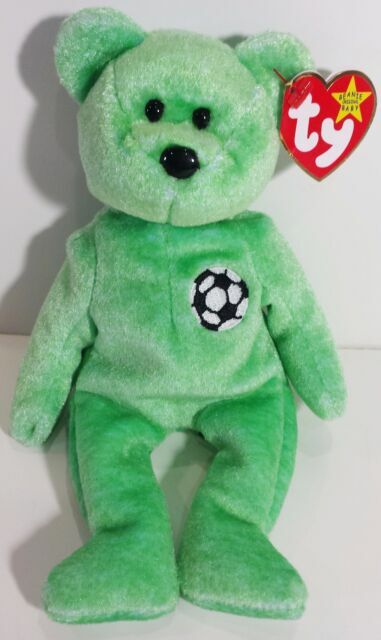 Ty Beanie Baby Kicks the soccer bear. DOB 8/16/98.